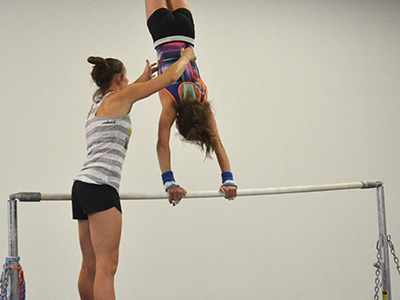 High School Classes are meant for the high school age gymnasts who desire pre-season training. Practices will focus on OHSAA requirements and bonus combinations. Athletes practice up to 2 times per week. $40 annual family Recreational Membership fee due prior to first class of session (if due). Register below for High School classes. Please register for each class individually. You may only attend the class days you register. $30 daily tuition will be charged each class upon gymnast arrival. You will not be charged for absences.